This is a great post– The third option makes so much sense, but it does require teachers to let go of control and help children to problem-solve on their own. This is hard for so many teachers! LAUSD made headlines last month when hundreds of their students figured out how to unlock their new iPads so they could get to YouTube and Facebook. That got us thinking—should schools try to block these and other popular sites on school devices and networks? And is it even possible? First, let’s tackle possible. Google “YouTube in school,” and you’ll find dozens of sites like this one with step-by-step instructions for bypassing all of your school security protocols. Chances are, your students have found this, too. As humans, most of us understand the importance of building relationships with each other. Reflect a minute on how much harder you work for the people close to you who understand and care about you– the people who appreciate and admire your strengths and recognize your weaknesses as areas to grow. As teachers, we spend time building relationships with coworkers and children in order to make the more challenging times in the day run a little smoother. Beyond the in-school relationships, there are the relationships with the families, which can sometimes feel like the last thing on your mind when you’re first teaching (until conferences, that is). Creating a relationship with what’s best for the child in mind is critical, especially in the field of special education; it opens you up to be a team with families to problem-solve what will work best for the child. As a teacher, you are a professional who works with the child and the family to help the child be more successful in the world. In order to make the most powerful impact, there needs to be a relationship with the family– not just a tally of triumphs and challenges communicated to the family. Both the positive and more challenging notes should be about who the child is– not just what the child did. Highlighting your understanding of the child is what will build your relationship with the family; it needs to be thoughtful and sincere. The moments you live for when you teach– the triumphs– when feelings are expressed with words, concepts are understood, or a splash of independence comes out, those are the moments that families live for too. Being realistic and compassionate will give those moments the celebration they deserve. Teachers are expected to notice everything that’s going well as well as calm what isn’t going so well. In graduate school, I was presented with a ton of theory about behavior management or classroom management, but I never felt I truly understood how to achieve it before I became a full-time teacher. I was warned about how easy it is to constantly correct and redirect students and how important reinforcing positive behaviors is. The idea behind positive reinforcement is so logical… but how do I do it without making myself crazy? Without providing a practical way to manage a classroom of different personalities, I was sent off into the world of being a teacher. The way it’s presented in graduate school is that if teachers constantly reinforce positive behavior, then they won’t feel frustrated, annoyed, confused, or have any kind of negative feeling– and if you do have those feelings, then you must not be doing it right. Trying to verbally praise every child for every positive moment is nearly impossible, unless that is your only duty. So, here’s my story of how I came to discover the idea of green and red moments in my classroom. First, I had a card system with four levels (green, yellow, orange, red). Each level had a meaning, and each child started off with green each day. Green meant best behavior, yellow meant first warning, orange meant second warning, and red meant a phone call home or the principal’s office. We would try to remember to switch it back to green if the day got turned around– not surprisingly, that never really happened. What this system missed was the times between the hard times when children were kind to each other or made an effort to try something that might be particularly hard. Worst of all, the children became color-coded, the behaviors escalated, and there was no room to fully understand the child or the root of the behavior. Obviously, it needed to be tossed– it needed a replacement. 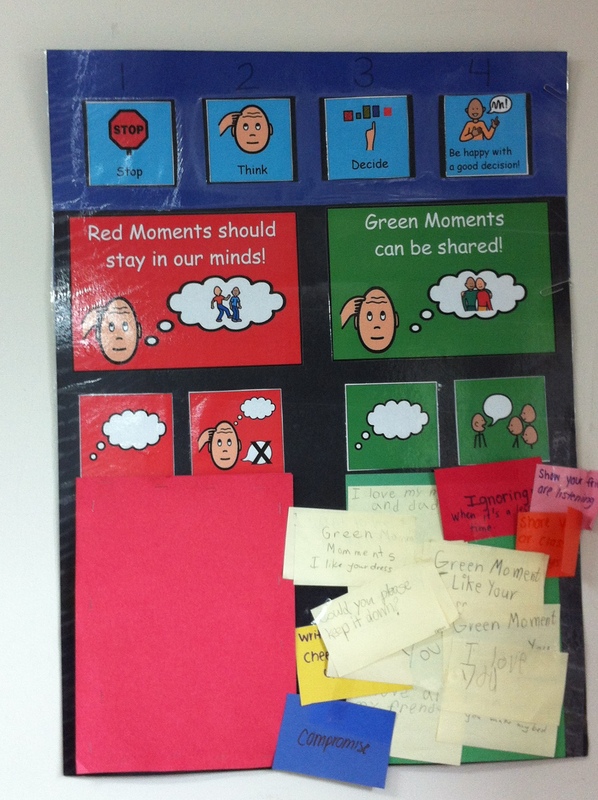 Using what I have learned from the wonderful children, speech pathologists, social workers, occupational therapists, and other professionals I have worked with, my co-teacher and I developed a green moments versus red moments system. In the beginning of the year, there was a lesson where we taught the children the definitions of red and green moments. A red moment is a negative thought about a peer or a negative behavior that might upset someone– all people think these thoughts all the time, but we don’t say them out loud. A green moment is something said or done that makes someone feel great. 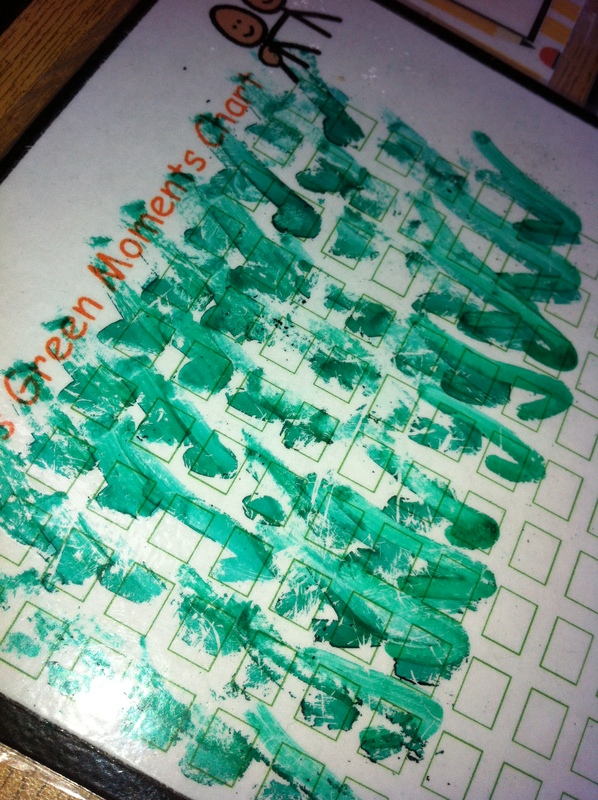 Once the categories were taught, students wrote down red moments and green moments. We walked around the classroom with the large red construction paper and had the children place their red moments inside. We folded it in half like a hamburger, and each child stapled the paper closed. We recognized that the thoughts are there, and they need to be talked about– just not to the whole group. We gave them options like quietly talking to a teacher or talking about their red moments during private social work or speech appointments. The green moments are, of course, out in the open and on display. This year, my co-teacher and I decided to add another layer… Now, the children have individual charts so they can visualize the green moments they dish out all the time. The classroom community is quite amazing and they love giving each other green moments. I’ve gone through a few behavior systems in my years of teaching, and I feel I’ve found the best one yet. Even so, it gets tweaked a little each year. This is a simple solution to reinforcing positive behaviors in class and putting the power in the child’s hands. Each year, it has changed slightly to make it more concrete, more accessible, and more exciting for the children in the class. To be completely honest, it also makes my job so much easier– I hope that writing about this will be helpful to someone else! The session was meant to be an hour long, but we ended up discussing classroom management, behaviors in children, adaptive tools, ways to organize, and the importance of understanding children, for nearly two hours. It was an incredible conversation that came down to the fact that kids are people, we can’t expect them to be the same all the time, and we have to understand who they are. My co-teacher and I bounced off of each other when talking about the simple systems we have in place for the daunting idea of classroom management. I felt like I told them so much, but I wanted to make sure they got the messages I was trying to deliver. As a follow-up, I sent out a Google Form to gather reflections and reactions to the time spent in the classroom. I left it to be anonymous, so they could really talk about how they experienced the time spent in the room. What was the most interesting takeaway? Brainstorming ways that some behavioral tools and ot tools could be incorporated into any type of classroom or for certain students. Does classroom management sound more or less intimidating now? Why? less! still intimidating, but knowing that all teachers need to try out all different things, and that you are not alone in the process helps ease my mind a lot. It sounds less intimidating because validating the feelings students have and giving them a time and space to express them really makes a difference. Witnessing differentiation for each student with universal design and language makes me realize how important not only class community is, but also how crucial the school community is; when the entire school follows the same procedures and language set there is an incredible difference. What do you recommend we address next time? I definitely think going through your classroom management tools, strategies for specific things, and materials used in the classroom would be helpful. i sometimes find myself worrying about not having the right tools, books, etc. and where to find them! thanks again! Maybe select two specific case studies of students from the past who have a range of needs and address your classroom/teaching style benefited or didn’t benefit that specific case. Possibly include a list of goals they are working on and how you are helping them. What might their report home look like? Having these reflections is so helpful to me. I also realized that the longer I teach, the easier it is to reflect. I’m looking forward to having more opportunities to talk to new teachers and continue to demystify behavior management. The words “Special Education is just good teaching” came to me on a chilly Tuesday evening in October. I was sitting in Developmental Variations 1, a class that I was required to take by Bank Street’s Special Education program. Until that moment, I wasn’t sure that this was the major for me. I knew that I would need and benefit from the experience of learning about special education and how to work with children with learning challenges, but I didn’t feel the pull and passion that I knew was necessary for a teacher in the same way I felt about general education. 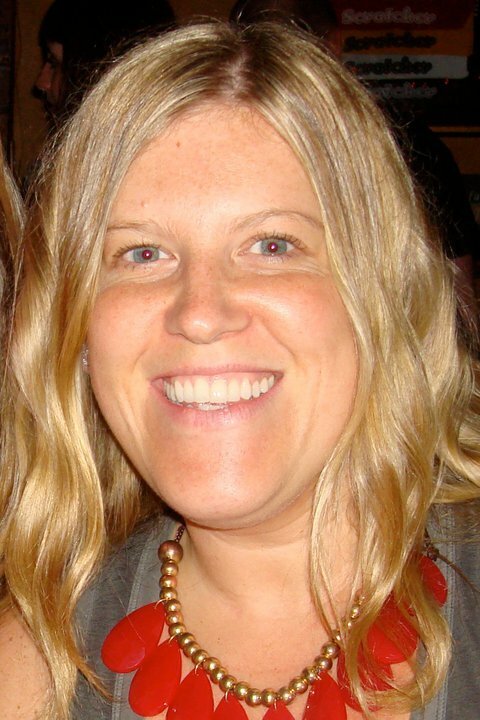 My professor, Kate Ascetta, was in her late twenties. She had been working in special education since she was young. It was her pull and passion in life. Her personal experiences were what drove her to this profession. When she broke down just what special education was in it’s simplest terms, I got it. It was almost as if there was a click in my brain. She told us that “Special education is just good teaching.” It’s knowing your students, understanding your students, supporting and pushing your students. It’s finding an accessible point for a child to learn and running with it. Not wearing a superhero outfit and doing the impossible, just providing good teaching to children who need it. To do this, a person needs some sensitivity, creativity, and the ability to make a fool of one’s self in order to provide good teaching to children. I try to remember this as I do ridiculous dances, sing off-pitch songs, and make absurd monster faces alongside my students during lessons. So how do I provide good teaching? I need not only to know them, but understand them. In working with students with different challenges, specifically in language, understanding their perspective and thoughts can be difficult. I always try to consider their point of view in a situation. The “whys” behind their actions. In stepping back and thinking of a bigger picture, I am much more likely to efficiently and appropriately support them and provide them with the good teaching that they deserve. Whether I know they love a certain basketball team, color, or song, it his so helpful to understand these pieces of my students to better teach them. I try to deliver “good teaching” in every single opportunity I am presented with. 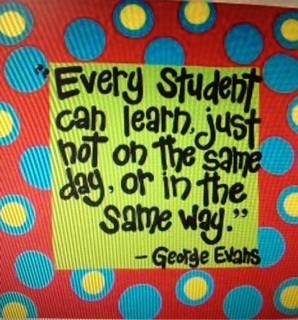 I truly believe that my students want to learn, they just need some support the best ways to learn. Special Education is Just Good Teaching. Classroom management sets bells ringing in most new educators’ minds. When the words spill off your tongue, your mind races to find out what that means– it means control without having control, order and emotions, productivity and creativity. How can you possibly create an environment that is managed and still find that individual flare? I can remember being so nervous about this when I first started teaching. My worry was that I wouldn’t be able to get them all to follow directions. Here’s a bit about what I’ve learned. Creating a routine is one of the first steps to management. Predictability is helpful for children and adults alike. Once a routine is in place, there is more room for thinking about everything else. To get yourself (and your classroom) settled into a routine, first create a list of things that need to be done every day. For school, the list can include all of things you want to child to do independently each morning or afternoon; this can include items that need to go in and out of a backpack, independent work, etc. For home, this list can include snack, bathing, homework, brushing teeth, etc. In the beginning, create a checklist or visual that reminds the child of the routine. Stick to your visual, and soon it will become automatic for the child (or your classroom). Motivation plays a key part in this– some children are capable of remembering the routine with the visual and some children need a little more support. For more resistant children or a child with executive functioning or attention challenges, a more creative approach may be necessary to get those neurons firing. In the past, I have created story lines using children’s interests. Using the list of things they need to do, I’ve made a visual for them to do things like they’re more interested in. For example: freeing the tiger, getting the triceratops to the watering hole, or scoring a touchdown– all based on the child’s true interest to make the tasks more engaging and motivating (and you won’t need to repeat the same thing over and over again). Turning stressful times into a game or story has taken stress of both me and my students. Laminating and using Velcro dots keep the visual intact and ready to use again and again. All visuals were made on Boardmaker. The tiger moves from box to box until he or she is free from the zookeeper. This visual has a triceratops that moves through each step of the routine until he or she gets to the watering hole. This visual is great for the sports-interested child. He or she can move the player down the field to score a touchdown. The child can also record when the tiger is caught by the zookeeper, when the triceratops goes to bed thirsty, or when the pass gets intercepted to squash the touchdown attempt. Keeping track can give the child a more enticing incentive, which leads to a feeling of accomplishment, a new sense of independence, and increased confidence. After spending 2 years in the advertising world, I was unhappy, uninspired and unwilling to give my job 100%. I had always thought about becoming a teacher, but was swept up in this fantasy idea of being an “international business woman” who traveled the world, briefcase in my hand and high heels on my feet. Once I realized this was not the reality I was living, I decided to listen to the voice in the back of my mind telling me to give teaching a try. Two and a half years later, I graduated from Bank Street College of Education with a Master’s degree in General and Special Education. For the past 6 years, I have been teaching at The Parkside School in NYC, a self-contained school for children with a variety of speech, language and communication difficulties. 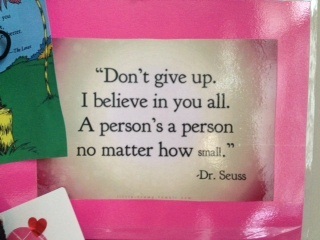 Every year I’ve had the chance to teach such a unique group of students, each with their own strengths and challenges. At times this can feel as though I’m a first year teacher at the beginning of every year, as my students challenge me in so many different ways. But most of the time, I’m inspired and in awe of the way my students overcome their challenges, learning strategies and using tools to be successful in the classroom. I’m excited and truthfully a bit nervous to be a part of Jess’s blog. Over the years I have often wished I had written stories and learning experiences down, and I hope I am able to conjure up some of these memories through writing on this blog. I’m also looking forward to growing my personal learning network through this and other teaching blogs, so that I can continue to grow in my role as teacher, mentor and friend to the many students who touch my lives each and every day.